Today, the inhabitants and guests of our noisy cosmopolitan city will find it hard to believe that approximately 300 years ago the Banks of the Neva River were covered with impassable swampy forests. 300 years is a moment for a city – St Petersburg is considerably younger than Moscow, Kiev, Kazan, Riga, Pskov or Veliky Novgorod. The lands adjacent to the Neva River used to be a part of the Novgorod Republic of Rus. The locals ploughed the land, hunted and went fishing for a living. With the Slavs, on the banks of the Neva River, peacefully coexisted Finnish and Karelian tribes. Over time these tribes became excepting of and converted to the Russian orthodoxy and they also were reliable allies in the time of war with the Swedes and Germanic tribes. The lands surrounding the Neva River have always attracted the foreigner’s greedy eyes.In particular because the river served as a trade-path for the Russian and foreign merchants, it was a part of the famous trade-path “from the Varangians to the Greeks “. The Neva River also led one to the large and prosperous Russian city – Novgorod. The northern neighbours, the Swedes, disturbed the peace of the Russians more than anyone else. The Swedes used the difficult domestic situation in Russia to invade in 1617 and annexed a part of the Neva territory that included the Russian Oreshek fortress founded by the Novgorod people in the 14thcentury and situated on an island in Lake Ladoga. The invaders also founded the Nyenschantzfortress on the bank of the Neva River in the mouth of the Okhta River. This move restricted the access to the Baltic Sea for the Russians. Not until the Russian tsar Peter the 1st were the disputes over the ownership of the Neva territory settled. In 1700 he started the North war as the result of which both the Noterburg (formerly Oreshek) and Nyenschantzfortresses were conquered. In 1703 Peter the 1st made the decision to build a new fortress that would have all of the technological advancements of the time. The island with the Finnish name “Enisaari” which means “Hare Island” in Russian located in the River delta of the Neva River was picked as the place where to build the new fortress. There was a strategic reason for this choice as both distributaries of the Neva River could be protected by cannon fire and thus the fortress would block the advancement of the Swedish fleet. On May 27thof 1703 the beginning of the foundation of the fortress called Saint Petersburg (in the German manner) was initiated. It honoured the saint Apostle Peter, the guardian angel of the Russian tsar and Russia itself. The name of this fortress spread onto the city that was founded and quickly spread next to it. The city mainly occupied the “Admiral part” and the Vasilyevskiy Island. The Bastion fort, widely used in the western European fortification architecture, was used when mapping out the project of the fortress. The fortress itself was named after one of its own parts – the cathedral, located right in its centre, which was named after the saints Peter and Paul. It was founded at the same time as the walls of the fortress were being built and determined the name “Peter and Paul fortress”. It became the first Cathedral and the first sight of burial of the Russian Emperors and Empresses. Along with the walls and the cathedral there were several other buildings built in the fortress. Among them: the house of the Commandant of the fortress, the Engineering House, Military Prison, Zeughaus (the place where weapons and artillery are kept). In the 1720s the Mint was relocated to the fortress from Moscow. Importantly, it functions to this day and supplies coins, medals etc. It just happened so that the Peter and Paul fortress was never attacked and, as the result, didn’t witness any wars. Despite this fact it was feared as one of the cruellest prisons in the Russian Empire and was even sometimes referred to as “the Russian Bastille.” Among its famous prisoners were the son of Peter the 1st – prince Alexey, the participants of the December revolt of 1825, writers Chernyshevsky and Dostoevsky, revolutionaries A. Ulyanov and L. Trotsky. 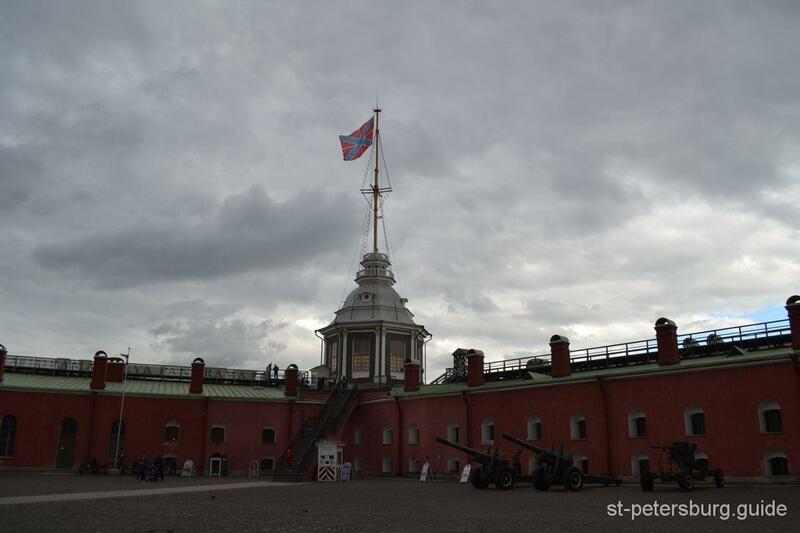 Being one of the most interesting military, historic, and architectural monuments in the world, the Peter and Paul fortress attracts the attention of several hundred thousand tourists annually. Visiting the fortress gives one an opportunity to interact with the world the way it was 300 years ago, to visit a sight of antiquity in the middle of a metropolitan city. Having walked over the oldest bridge in St. Petersburg, which is built over Kronverksky Strait, the visitors enter the fortress and face the first Russian Empire’s triumphant gates, built in 1718. Taking a look at the main walls of the fortress, the cathedral and the administrative buildings, you get the chance to get acquainted with different examples of the architectural styles that existed from the beginning of the 18thcentury and until the beginning of the 20thcentury. They include magnificent Baroque of the Peter and Paul Cathedral, elegant eclecticism of the royal thomb and the “Botnyy dom” built in the classist style, specifically as a place to keep Peter the Great’s first ship. 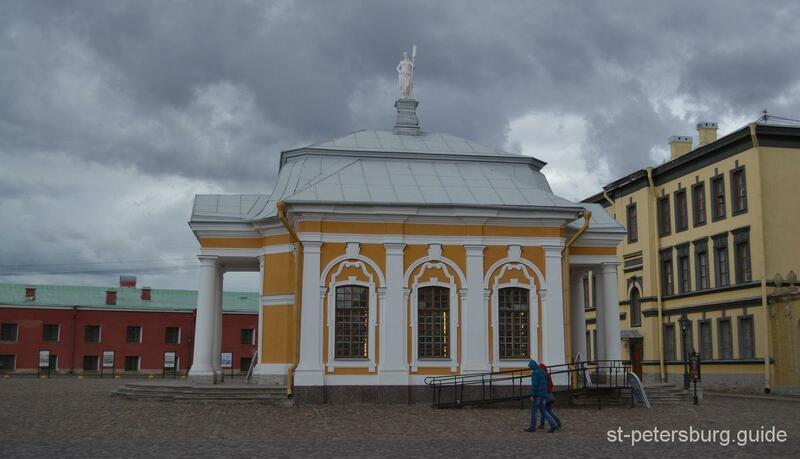 The Peter and Paul cathedral built in 1733. When inside, you will be able to see the burial sight of the Romanov dynasty, starting from Peter the 1st and ending with Nicholas the 2nd and his family. The remains of the last Russian Emperor and his family were placed there in 1998 after they were discovered near the city of Yekaterinburg. You can also admire the interior design that dates back to the 18th century that includes a 20-meter (65.6 feet) high, wooden, carved iconostasis. Its entire area was gilded and the iconostasis was completed in 1720s following the drawing of the architect of the cathedral – D. Trezzini. One has the opportunity to climb the bell tower of the Cathedral at 4 different times during the day. When up there, you will be 43 meters (141 feet) above the ground and you can admire the beautiful panorama, see the bell-collection and a wonderful musical instrument Carillion. The music it produces can be heard everywhere around the fortress over the weekend. The prison in the fortress, referred to as the Prison of Trubetskoy bastion. You’ll be able to see the organization and structure of the jail and the cells of confinement. Moreover, you would be able to grasp the differences between the routine, which the prisoners had to follow, based on their classification determined by the degree of the crimes they committed. The jail was mainly used for detainment of political prisoners, such as revolutionaries, the foes of the absolute monarchy, or terrorists. Among them was the older brother of V. Lenin – A. Ulyanov. Nevskaya Dock. It gives you the opportunity to see the beautiful panorama of the Neva River, the Winter Palace and the Admiralty Building. The Naryshkin Bastion. Daily at noon, the cannons of the bastion that has the fortress’s flag at the very top of it, fire signalling that everything is fine. The island on which the fortress was built is not very big: its length is 750 meters (2460 feet) and its width totals 400 meters (1312 feet). Keep in mind that most of its area was paved with stone, so make sure to wear comfortable soft-soled shoes, so that you can walk around without any issues. It is highly recommended that you get a guide for your visit of the fortress, as most of the other cultural sites of the city also require. The guide will come in useful when it comes to directions, the best route and the narration of the history of the fortress, the city, the royal family, and the buildings that are a part of the fortress. Your tickets for visiting the museums and monuments on the island can also be acquired with your guide’s help. Moreover, there is a great restaurant located on the island out of which you can get a good view onto the city and try the traditional St. Petersburg’s dish – fried European smelt. 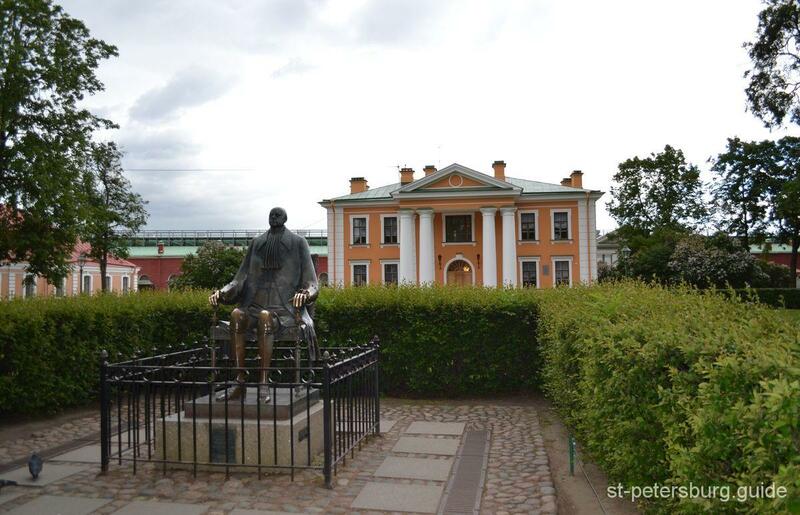 From a yard located near the restaurant you will have the chance to take a great picture with the Old Saints Petersburg Stock Exchange and Rostral Columns, located on the split of Vasilyevskiy Island, in the background. You could also go for a walk on the sandy beach just outside the walls of the fortress. Every summer this beach becomes a place for the annual sand-sculpting festival, while in winter it hosts the Ice and Snow Sculpture festival.